Associated Press Notre Dame cornerback Julian Love tackles Ball State wide receiver Riley Miller on Saturday in South Bend. SOUTH BEND – “Preparation” is the word of the week for Notre Dame as the Irish get ready to play Vanderbilt at Notre Dame Stadium on Saturday. Immediately after Notre Dame's lackluster 24-16 win over Ball State, coach Brian Kelly faulted himself for not having his team better prepared to face the Cardinals. After the team practiced Wednesday, the players took responsibility for the performance and, to a man, insisted that this week has had a different feel. “I was frustrated,” cornerback Julian Love said of the Ball State game. “We want to be the best. Our mindset as a whole program, I'm not going to say the players, I'm not going to say the coaches, but the whole program, wasn't in the right frame. To demonstrate how well they've re-focused their energy, the Irish trotted out some clichés. “Working on the little things,” “grinding” and “getting back to our roots” were all phrases players used to give an idea of how much different the energy at practice has been this week. For the offensive line, the phrase was, “getting back to basics,” as guard and captain Alex Bars put it. The line is one unit that faces some difficult questions this week after giving up four sacks against the Cardinals and frequently giving quarterback Brandon Wimbush too little time to throw. So the offensive line doubled its efforts at practice this week. For Bars, “back to basics” means working on the minutiae in blocking technique. The problems with preparation were somewhat apparent during the game, as Kelly pointed out, but the players said it really became obvious when they watched the film. Wide receiver Miles Boykin said that, looking back at the week, the team could sense that it fell short in practice, which led to deficiencies during the game. Those have been corrected this week. 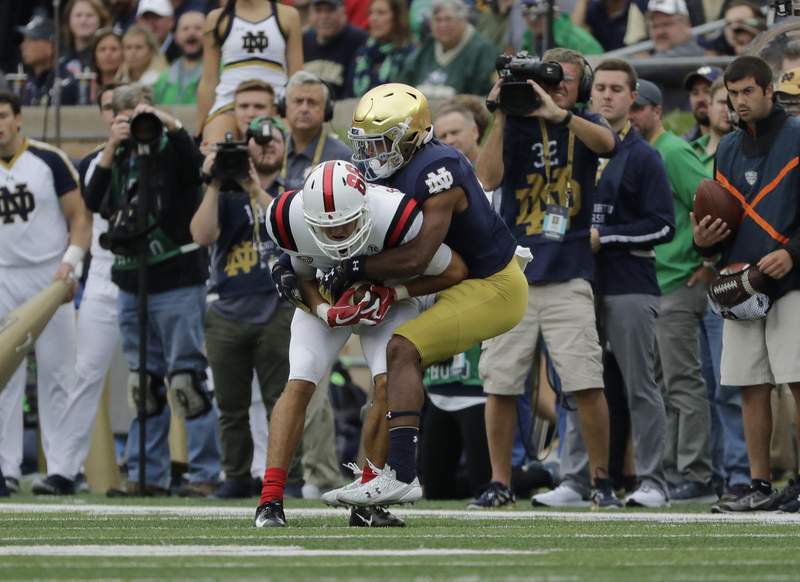 Despite the relative lack of preparation heading into the Ball State game, there was at least one silver lining in Love's eyes: the Irish showed their toughness once it became apparent the Cardinals didn't plan to roll over for mighty Notre Dame. When Love was frustrated after the game about his team's performance, he got some help in seeing the bigger picture.